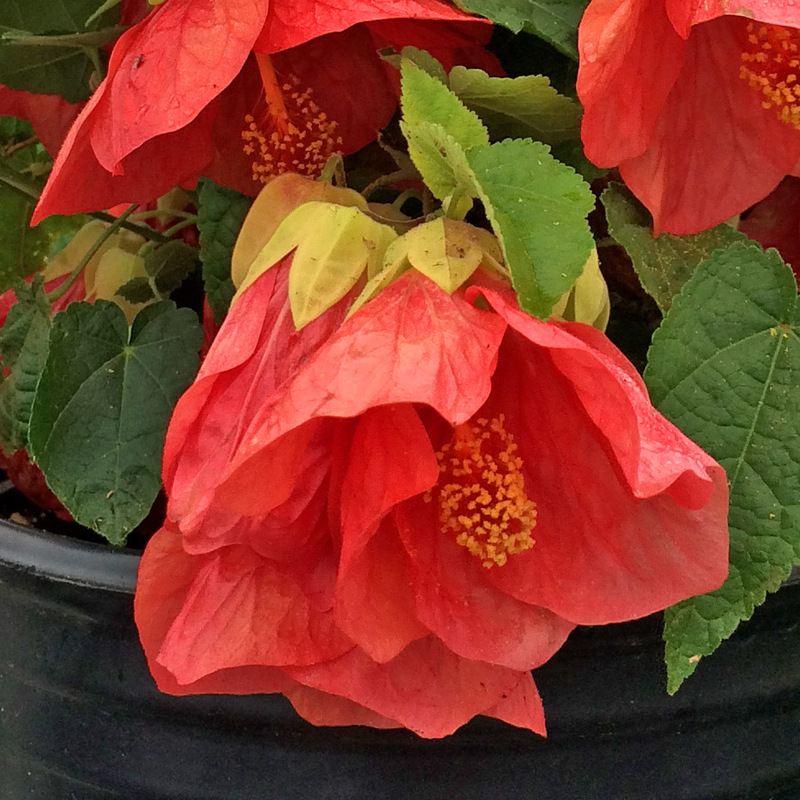 Abutilon PATIO LANTERN™ Passion is the newest addition from the breeder of Abutilon LUCKY LANTERN™ ‘Tangerine’ and Abutilon LUCKY LANTERN™ ‘Red’. ‘Passion’ blooms from spring through fall. Lovely watermelon pink bell shaped flowers face downward and outward carried on strong stems adding to the retail appeal of this premium plant. ‘Passion’ grows quickly, reaching height of 12" (30 cm) and spread of 14" (35 cm) in the first year. Compact tight rounded habit, 1 gallon 8" x 8", ultimately 24" x 24"